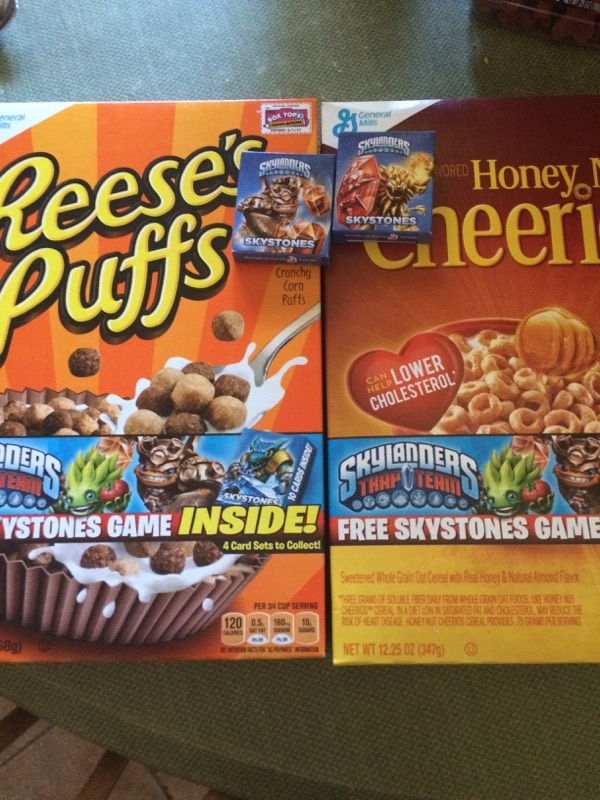 The nice folks at General Mills sent me a package with Reeses Puffs and Honey Nut Cheerios which included the new Skylanders game to do a review of. 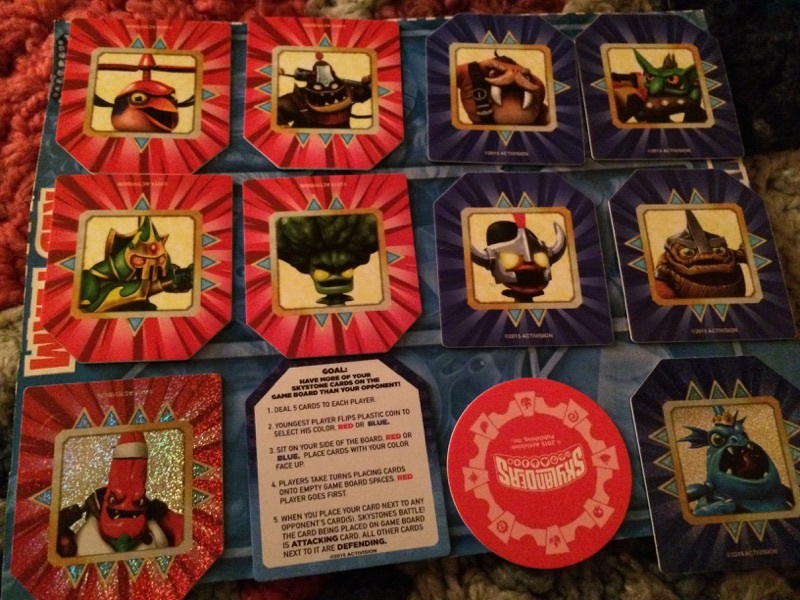 In the box comes a box of Skylanders cards, which contains a coin (to see who goes first), the directions, and 10 Skylander opponents. 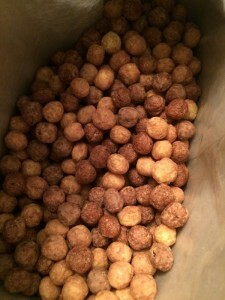 You cut the game board out from the back of the specially marked cereal boxes, such as Reeses Puffs or the Honey Nut Cheerios I received for free. 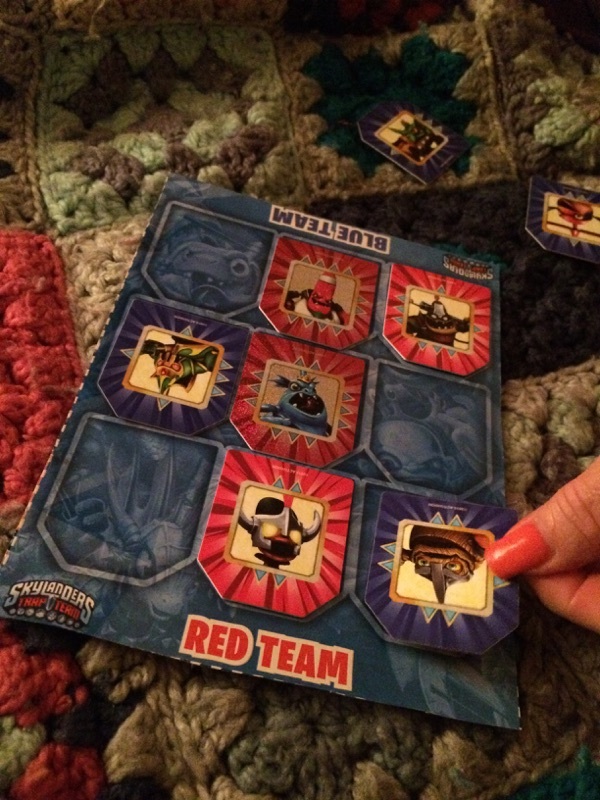 After cutting out the board, you deal 5 cards to each player. You then flip a coin to see who goes first. You take turns, one at a time, playing one of the pieces on the board. Each piece has a different amount of arrows, and you “attack” with the strength. For example, if I placed a RED card with 4 arrows next to a BLUE card with 2 arrows, I flip my opponents card, and now my color is on the board. The objective of the game is by the time the 9 spaces are filled, to have the majority of your color on the board. These specially marked boxes will only be available in March, so if you are interested in playing, better go grab a box! 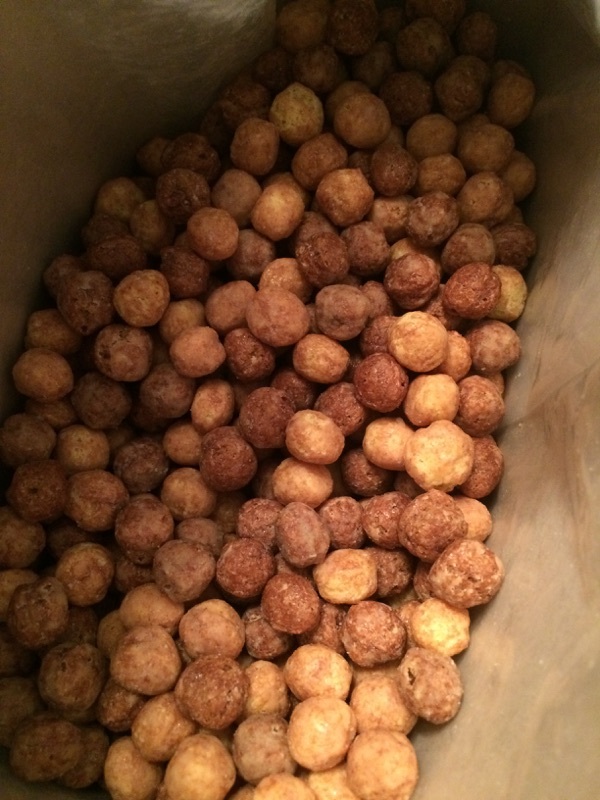 1. leave a comment below with your favorite General Mills cereal. Must be U.S. only. Open until March 2nd, 12 pm.